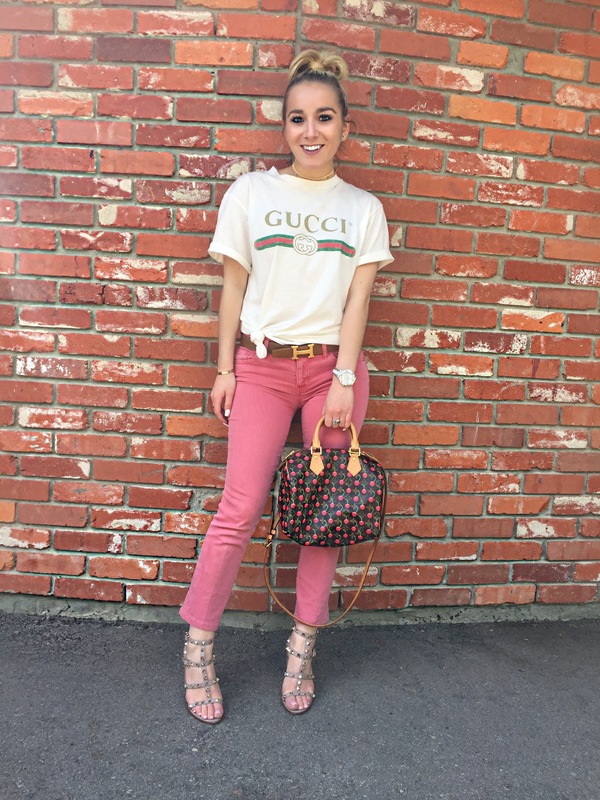 Colored denim is having a little comeback, and I've never been happier to be a clothes hoarder! I bought these jeans a few years ago, (at the height of the colored denim era,) and I think I wore them at most, twice. For some reason, I just couldn't give these away. The whole cropped flare style has been the jean style of summer, and once I rediscovered these at the back of my closet, I noticed they had a slight flare! 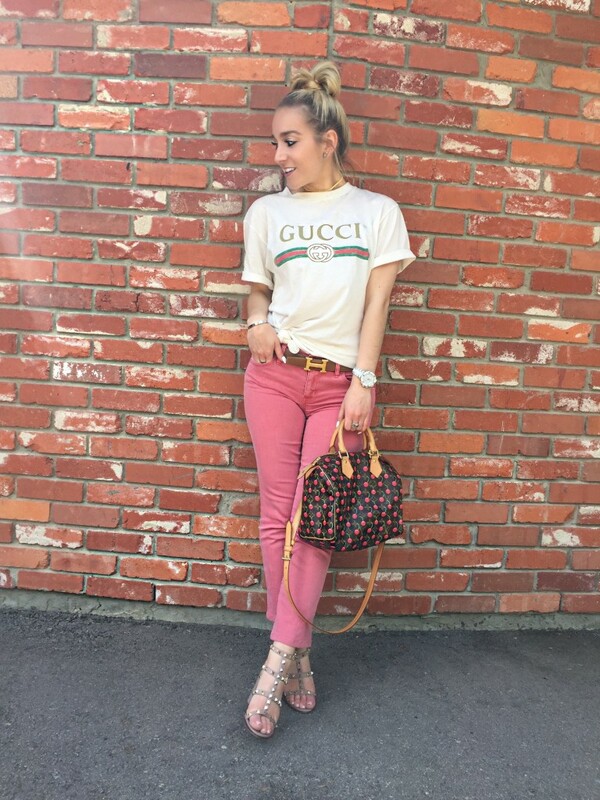 Pink is a neutral color for me, so I really think you can pair these pants with any color. What are your thoughts on colored denim?